I understand what you are going through and my focus is to see you and your family get back to who you were before your unforeseen financial debt. I use my legal expertise, knowledge of Georgia laws and years of bankruptcy experience to help my clients. I’ve been doing this for a long time and find no greater gratification than helping my clients find the proverbial light at the end of the tunnel. My bankruptcy firm has helped many citizens in Gwinnett County (office is located in Duluth GA) avoid getting their home foreclosed or their car repossessed. Bankruptcy is not always the first option. Call me today and tell me about your situation and I can help guide you in the right direction. Not only that, but I will keep in touch with you as I do with all my clients. I tell you how to respond to creditors and what your best bankruptcy options are. Many people have heard about filing for chapter 7 or chapter 13 but don’t really understand it. It’s a complex set of options which I am happy to explain for you. My goal is to help you get your finances under control, protect your property and reduce your debt. My law firm understands that having a lot of debt can be overwhelming. Every day, many people opt to file for bankruptcy. It is a responsible and safe way of getting out of debt. When you contact Cornwell Bankruptcy Law Firm, you can rest assured you will speak with me or my courteous and professional staff who will do their best to understand your situation. Call 404-791-4449 today to set up a consultation and see if bankruptcy is the right choice for you. Regardless of what your legal financial needs are, I am confident you will walk away knowing you made the right decision. Tired of Playing Catch Up to Your Never-ending Debt? Take that first step and call me. We will identify your best option based on your current debt and payment history. My Gwinnett County bankruptcy firm offers free consultations that will help outline what I recommend to get you back on track financially. It is a meeting that can uncover a fresh start and potentially change your life. Cornwell Law Firm services the areas of Lawrenceville, Duluth, Norcross, Suwanee, Snellville, Dacula, Lilburn, Stone Mountain, Atlanta, Buford, Loganville, Grayson, Sugar Hill and Braselton. We also serve the Cobb, Clayton, Dekalb, Gwinnett, Fulton and surrounding counties. My attorney fees for bankruptcy are affordable and competitive to the other bankruptcy firms in the greater Atlanta area. Contact my bankruptcy law firm located in Duluth GA to find out if bankruptcy is right for you. Chapter 7 Bankruptcy allows you to get rid of the majority of your debts within four to six months. The law prohibits your creditors from contacting you after you have filed for Chapter 7 Bankruptcy. You will also be able to protect your property after you file for Chapter 7 bankruptcy. Additionally, garnishments and lawsuits against you will be stopped. Speak to bankruptcy attorney Keith Cornwell so you can find out how to stop creditors from harassing you and live debt-free. In many cases, unsecured debt can be reduced to 0 percent. Bankruptcy attorney Keith Cornwell can come up with a custom bankruptcy plan for you and ensure you will be able to afford your payment plan. 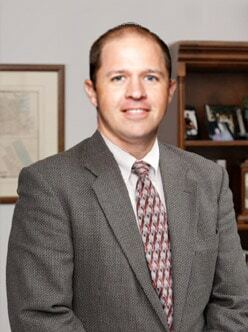 He is an experienced Chapter 13 Bankruptcy attorney. Bankruptcy is the best way to cope with a foreclosure in many cases. Foreclosure proceedings will be halted after you file for Chapter 13 Bankruptcy. Cornwell Law Firm has helped hundred of people just like you protect you from foreclosure. Many people in America have debt they are unable to manage due to circumstances they are unable to control, such as a business decline, divorce, job loss and divorce. If you are struggling with debt, it is okay for you to file for bankruptcy. It is alright for you to put your family’s needs and your own needs before your creditors. Cornwell Law Firm understands it can be difficult to decide to file for bankruptcy. There are a lot of misconceptions people have about bankruptcy. Many people believe filing for bankruptcy is worse than continuing to have to deal with debt problems. That is not true. Bankruptcy attorney Keith Cornwell will tell you the truth and present you with the information you need to make the best decision for your family and yourself. We will get a good understanding of your business and personal financial situation, so you can choose the bankruptcy process that works best for you. My bankruptcy law firm is focused on current bankruptcy laws in the state of Georgia. I carry the experience and knowledge needed to help guide you to bankruptcy options. Whether it’s Chapter 7, Chapter 13, foreclosure or any other options, my clients have been completely satisfied with their results. When you call us at 404-791-4449, you will work with J. Keith Cornwell, a caring and compassionate bankruptcy attorney. Keith works hand in hand with his clients and understands the importance of good communication between him and his clients. He is at all times a phone call or email away.